What is the best workout for treadmill? Want a healthy body? Are you finding your workout ineffective and boring? Thinking of quitting working out? Well, you’re not the only one thinking like this. Feeling like this is very much pertinent to going gym and maintaining a healthy lifestyle. Working out daily in same old mundane pattern can exhaust you and after a certain point you’ll feel agitated with yourself. It can make you grumpy. Everything big or small can get onto your nerves and make you unhappy as well. It happens to all of us. The reason why it happens is, pretty simple. Monotonic workout is taking a toll on you. So, now you know the problem, let’s get to the solution now. Here are some of the great treadmill workouts, one should definitely try. Doing this will help you shed gallons of sweat by the end of your workout session. This will not only energize you but help you burn all that extra fat. Start by walking on a slow pace and then go on to gradually increasing the speed. Then take an intense or hard interval of 30 seconds for 9 times. Finish the session by walking on a relatively slower pace for 5 minutes or so to cool down. Have you ever walked on a hill? If yes, you might be aware that walking on slop or a hill takes a lot of effort. Similarly, walking on the inclined treadmill will optimize your strength. All you have to do is, walk slowly for 5 minutes, and then increase the incline with a percentage of 1. Walk on the incline for a minute, lower it to 0% and walk on it for a minute. With every step increase the percentage and duration in the ratio of 1. End the workout by walking slowly for 5 minutes, it will help you recover and get back to normal. It is the amalgamated workout, it includes running and walking. To begin with, warm up your body by walking at a slow pace for duration of 4-5 minutes. Now, hold on to the one side of the trail and turn your body, lift it up and shuffle on the sides. Do not cross your feet with one another. Side step for 30 seconds and get back to walking on slower pace. Repeat the process, this time do it from the other side. Do the workout from both the sides for 20 minutes or more, depending upon your own capacity and strength. Complete the session by walking again on a slow pace for 5 minutes. This workout again is the combination of running and walking exercises. As usual, start with walking slowly for duration of 3-4 minutes. Gradually start doing sprints for 30 seconds and then a 30 second walk. Increase the duration for both the exercises up to 1 minute i.e. 1 minute for sprints and walk each. Since the body is now pumped up, enhance the time for sprints, do it for 2 minutes and then for 3 and then for 4 minutes. However, walking duration is left constant i.e. you need to walk for 1 minute every time after doing sprints. Finish the session by walking on slow pace for 5 minutes. When running on a treadmill to lose weight, always breathe through your stomach. The more you run, the more you shed the weight. Instead of breathing through your lungs, breathe through your stomach. Breathing does make difference! Perfect your stance. Improve your posture. An improper stance can cause injuries. There are some of things your trainer must have told you such as, don’t curve your shoulders, lean a bit forward etc. Keep that piece of advice in your mind while getting on to a treadmill. Those who are running to shed weight should hit the gym early morning empty stomach instead of going in the evening. Since your body has been fasting for 8-10 hours, there is no other option left for your body other than breaking the fat into energy and utilize it. 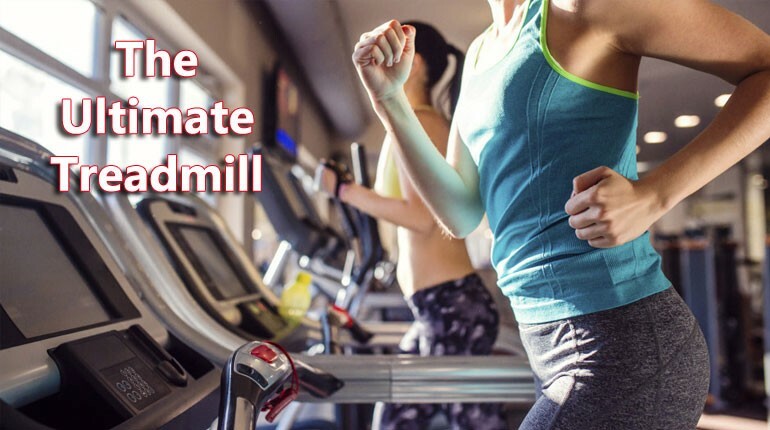 These 60- minute treadmill workouts are perfect to rejuvenate you thoroughly. Shuffle the workouts or adjust them in your schedule by allotting these workouts a day. For instance, do the side-step workout on Monday and sprint interval workout on Tuesday. Similarly, do the pyramid workout on Thursday and hill workout on Friday and so on. Working out in the morning makes the body and mind relaxed and calm throughout the day. An adventurous and healthy workout paired with healthy eating and sleeping habits is the key to living a balanced life. In modern world, hitting the gym everyday at 6 in the evening has become quite a common thing, but it all goes in vain, perhaps because you are not doing it the right way. Follow these treadmill workouts and get surprisingly amazing results. Staying healthy isn’t that tough or is it?